The Great Architect of the Universe (also Grand Architect of the Universe or Supreme Architect of the Universe) is a conception of God discussed by many Christian theologians and apologists. As a designation it is used within Freemasonry to represent deity neutrally (in whatever form, and by whatever name each member may individually believe in). It is also a Rosicrucian conception of God, as expressed by Max Heindel. The concept of the demiurge as a grand architect or a great architect also occurs in gnosticism and other religious and philosophical systems. Saint Thomas Aquinas said in the Summa: "God, Who is the first principle of all things, may be compared to things created as the architect is to things designed (ut artifex ad artificiata)." Commentators have pointed out that the assertion that the Grand Architect of the Universe is the Christian God "is not evident on the basis of 'natural theology' alone but requires an additional 'leap of faith' based on the revelation of the Bible". John Calvin, in his Institutes of the Christian Religion (1536), repeatedly calls the Christian God "the Architect of the Universe", also referring to his works as "Architecture of the Universe", and in his commentary on Psalm 19 refers to the Christian God as the "Great Architect" or "Architect of the Universe". Masonic historians such as William Bissey, Gary Leazer (quoting Coil's Masonic Encyclopaedia), and S. Brent Morris, assert that "the Masonic abbreviation G.A.O.T.U., meaning the Great Architect of the Universe, continues a long tradition of using an allegorical name for the Deity." They trace how the name and the abbreviation entered Masonic tradition from the Book of Constitutions written in 1723 by the Reverend James Anderson. They also note that Anderson, a Calvinist minister, probably took the term from Calvin's usage. It is without hesitation that I accept the third possibility.. The Swedish Rite, which has the prerequisite of professing to Christian Faith, uses the form "The Threefold Great Architect of the Universe". The Great Architect may also be a metaphor alluding to the godhead potentiality of every individual. "(God)... That invisible power which all know does exist, but understood by many different names, such as God, Spirit, Supreme Being, Intelligence, Mind, Energy, Nature and so forth." In the Hermetic Tradition, each and every person has the potential to become God, this idea or concept of God is perceived as internal rather than external. The Great Architect is also an allusion to the observer created universe. We create our own reality; hence we are the architect. Another way would be to say that the mind is the builder. In Heindel's exposition, the Great Architect of the Universe is the Supreme Being, who proceeds from The Absolute, at the dawn of manifestation. For a detailed discussion, see The Rosicrucian Cosmo-Conception. The concept of the Great Architect of the Universe occurs in gnosticism. 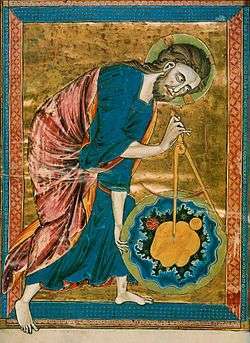 The Demiurge is The Great Architect of the Universe, the God of Old Testament, in opposition to Christ and Sophia, messengers of Gnosis of the True God. For example: Gnostics such as the Nasoræans believe the Pira Rabba is the source, origin, and container of all things, which is filled by the Mânâ Rabbâ, the Great Spirit, from which emanates the First Life. The First Life prays for companionship and progeny, whereupon the Second Life, the Ultra Mkayyema or World-constituting Æon, the Architect of the Universe, comes into being. From this architect come a number of æons, who erect the universe under the foremanship of the Mandâ d'Hayye or gnôsis zoês, the Personified Knowledge of Life. James Hopwood Jeans, in his book The Mysterious Universe, also employs the concept of a Great Architect of the Universe, saying at one point "Lapsing back again into the crudely anthropomorphic language we have already used, we may say that we have already considered with disfavour the possibility of the universe having been planned by a biologist or an engineer; from the intrinsic evidence of his creation, the Great Architect of the Universe now begins to appear as a pure mathematician." To that Jinarajadasa adds his observation that the Great Architect is "also a Grand Geometrician. For in some manner or other, whether obvious or hidden, there seems to be a geometric basis to every object in the universe." The concept of the Demiurge as a benevolent great architect or grand architect of matter occurs in the writings of Plato, including in the Timaeus. The concept of a Great Architect of the Universe also occurs in Martinism. Martinist doctrine is that the Great Architect must not be worshipped. Martinists hold that whilst it is possible to "invoque" Him, it is not to adore Him. ↑ Hog, Erik. "The depth of the heavens: Belief and knowledge during 2500 years" (pdf file) Europhysics News, (2004), 35(3), p. 78, . ↑ Summa Theologica I. 27, 1, r.o. 3. ↑ Stephen A. Richards (2006). "Thomas Aquinas (1225–1274)". Theology. Pelusa Media Group. ↑ William K. Bissey (Spring 1997). "G.A.O.T.U.". The Indiana Freemason. ↑ Gary Leazer (2001). "Praying in Lodge". Masonic Research. Archived from the original on 13 August 2006. ↑ S. Brent Morris (2006). The Complete Idiot's Guide to Freemasonry. Alpha/Penguin Books. p. 212. ISBN 1-59257-490-4. ↑ Mary Ann Slipper, The Symbolism of the Eastern Star Pages 35 and 36. ↑ Herbermann, Charles, ed. (1913). "Nasoræans". Catholic Encyclopedia. New York: Robert Appleton Company. ↑ JOC/EFR (February 2006). "Quotations by James Jeans". ↑ "Mathematics and Mysticism". Wisdom's Frame of Reference. Advaita Vedanta. 2005-11-04. ↑ Curuppumullage Jinarajadasa (1950-11-17). "Introduction to the third edition". Occult Chemistry. ↑ Aurifer (2005-09-11). "The Martinist Doctrine". Sovereign Grand Lodge of the Ancient Martinist Order.